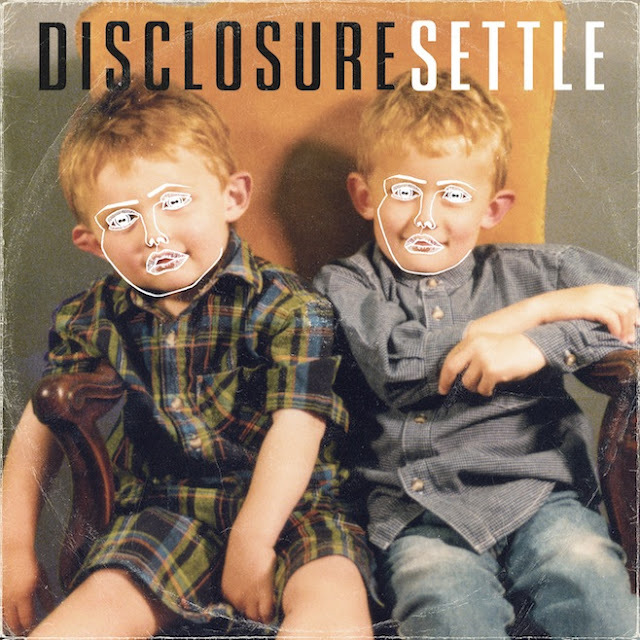 An album I've been obsessing over since it was released last week is the debut album Settle from young UK duo/brothers Disclosure. These fellows are just 18 and 21 yrs old and have possibly released one of the early contenders for dance album of the year. The album infuses elements of deep house, edm, acid and holding it all together, a pop sensibility. It reminds me a bit of artists like Basement Jaxx who also cross similar boundaries and have similar styles. Although Disclosure tends to be a little more subduded than Basement Jaxx's over the top style. If these styles are your thing I highly recommend you check out this release, although I warn you, you may become hooked like I have. Check out a few of their tunes below. First single/video for the infectious "If a Fire Starts to Burn", "F for You" and my favorite track on the album, the ultra smooth house number "Defeated No More" (which unfortunately is only a minute and a half snippet). If you dig these, odds are you will love the rest of the record and should definitely look into it.